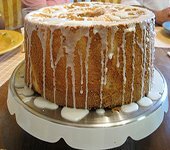 Cakerecipes-r-us.com is one of the largest collections of homemade cake recipes from scratch on the web. The cake recipes range from the 1800's to today, so there's something for every taste. 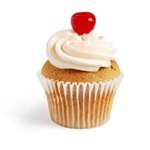 If you can't find the recipe you're searching for, just contact cakerecipes-r-us.com with your request and we'll be happy to try and find it for you. Chocolate Cake is an all-time favorite which is a tradition with many families at birthdays, picnics, reunions and get-togethers. 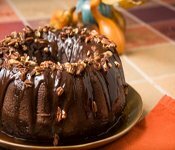 Find a scrumptious chocolate cake recipe at CakeRecipes-r-us. Birthday cakes are easy and fun to make! You don’t have to be a cake decorator to create a memorable birthday cake. 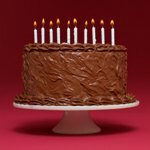 Find a great birthday cake recipe here at cakerecipes-r-us.com. Ice Cream Cake is a cool and creamy treat when it’s hot outside. A homemade ice cream cake costs a lot less than a store-bought one; plus, kids love it! Angel Food Cake is great when you want a dessert that’s not too sweet. It also makes a good base for fresh berries or a fruity sauce. Bundt Cake Recipes are good when you’re in a hurry for a dessert or sweet treat. Leave them un-iced or just drizzle a thin glaze of icing or sauce on top. Coffee Cakes are another fast treat that can be put together in a hurry for breakfast or brunch. Make the batter up the night before and keep it in the fridge overnight; it can be popped into the oven first thing the next morning. Carrot Cakes are the sweet treat of choice for many people. A moist cake recipe that is easy to make; people that make one for the first time are surprised at its simplicity even though it tastes like it took all day! Cheese Cakes are a simple, yet elegant dessert that just about everyone loves. They are also easy to make and can have just about any type of fruit or flavor added to them. 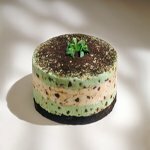 cakerecipes-r-us.com has a large selection of cheese cake recipes. Christmas Cake Recipes are great during the holidays when family and friends get together. The traditional Christmas cake in the USA is fruitcake, but any kind of cake can be Christmassy with a few special touches. Cupcakes are hand-sized morsels of sweetness that kids especially love. Make them instead of a birthday cake for a child’s party; they’re easy for little ones to eat. Use your imagination when decorating Cup Cakes; just about anything can go on them!